Bernard Wayne Vogelsang, resident of Houston, died peacefully on Saturday, April 13, 2019. Wayne was born on July 21, 1945 in Houston to Egon Ernest and Norene Becker Vogelsang. He is preceded in death by his parents and his sister Marie Vogelsang Gorman. He is survived by his devoted wife of 51 years, Patricia Hobizal Vogelsang and his sons; Thomas Wayne Vogelsang, and wife Diana of Houston, Phillip James Vogelsang and wife Page also of Houston, and his grandchildren Matthew Thomas Vogelsang and Michael James Vogelsang, Murphy James Vogelsang and Ella Page Vogelsang. He is also survived by his brothers Francis Vogelsang, wife Yvette of Fredericksburg, Danny Vogelsang, wife Marcena of Tomball, Mickey Vogelsang, wife Sally of San Antonio, Stephen Vogelsang, wife Martha of Bryan, Texas, and his sisters Judy Vogelsang Salvaggio, husband Mike of Marble Falls and Sharon Vogelsang Cotton, husband John of Katy, Texas. 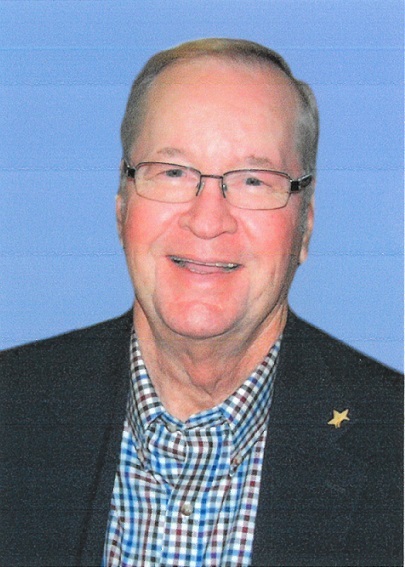 Wayne graduated from St. Thomas High School in 1963 and from University of St. Thomas with a B.A. degree in math in 1967. Wayne spent his professional career working at NASA’s Johnson Space Center. After NASA, he returned to his true love of farm animals that began as a young boy in his city backyard where he raised pigeons, rabbits, and Easter chicks as an enterprise. He enjoyed his retirement years raising cattle at his ranches near Weimar and Fayetteville, Texas. Wayne was from a family of baseball players. His dad “Slim” played for the Cameron Texas Comets, Wayne played Dixie Little League and Pony League and at St. Thomas High School. His sons and grandsons continued the tradition. He volunteered in the West University Little League as his sons’ coach from 1976 to 1985. Wayne was a parishioner for over fifty years at St. Vincent de Paul Catholic Church. All services will be held at St. Vincent de Paul Catholic Church, 6800 Buffalo Speedway in Houston. Vigil services are Tuesday, April 16, 2019, at 6:00pm for the visitation, with a vigil prayer service at 7:00pm. On Wednesday, April 17, 2019, there will be a visitation at 9:00am with a funeral mass at 10:00am. A reception for family and friends will immediately follow the funeral mass in St. Vincent’s Monsignor Jamail Family Center. In lieu of usual remembrances, the family requests that donations be kindly considered in Wayne’s name to St. Thomas High School in Houston, www.sths.org. Or the Star of Hope Mission, www.sohmission.org.